The Koolance VID-NX480 is a combined GPU and memory block for water cooling NVIDIA GTX 480 video cards in single and multi video configurations. It utilizes a high-performance microfin design (0.5mm) made of solid copper with anti-corrosive nickel plating. The cooler targets all primary heat-producing regions of the GTX 480, including the voltage regulators. 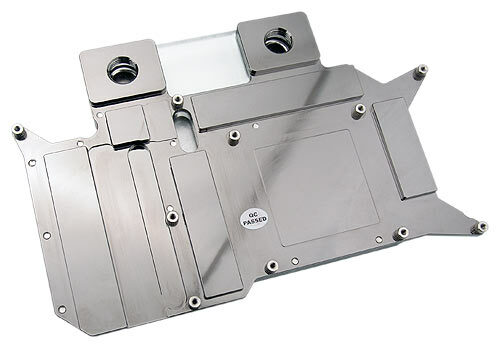 The top stainless steel cover plate protects an LED illuminated acrylic lid. Nozzle threading is standard G 1/4 BSP, and nozzles are not included. Includes cooling block, thermal paste, mounting hardware, and manual.